Earlier this year I took interest in designing tattoos. Naturally I came across typography, calligraphy, and recently ambigrams. 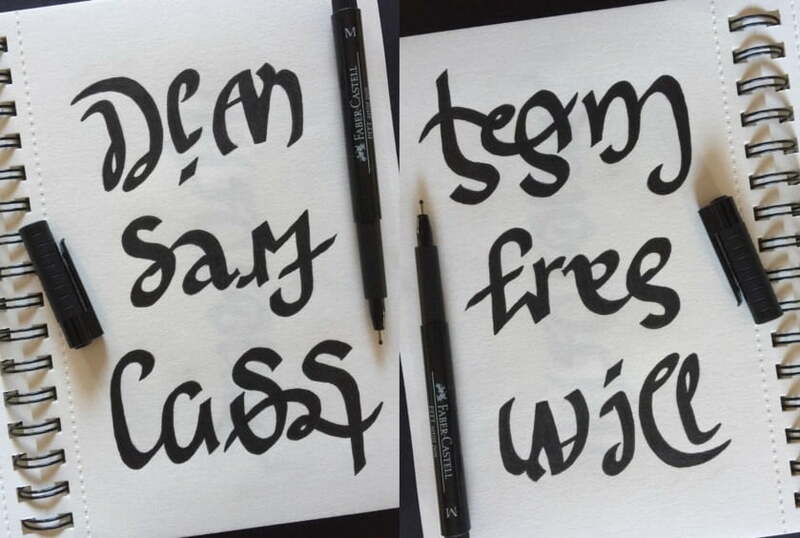 An ambigram is basically a word or phrase that when you flip it over, it reads the same with another word or phrase. They actually combine all my favorite things: drawing, words, puns, mystery and … magic! So, it was a matter of time before I tried my skills in this field too! Some of them are incomprehensible, some (I hope!) are more readable. All of them are hand-drawn, no computer generated fonts here. Let’s get started! 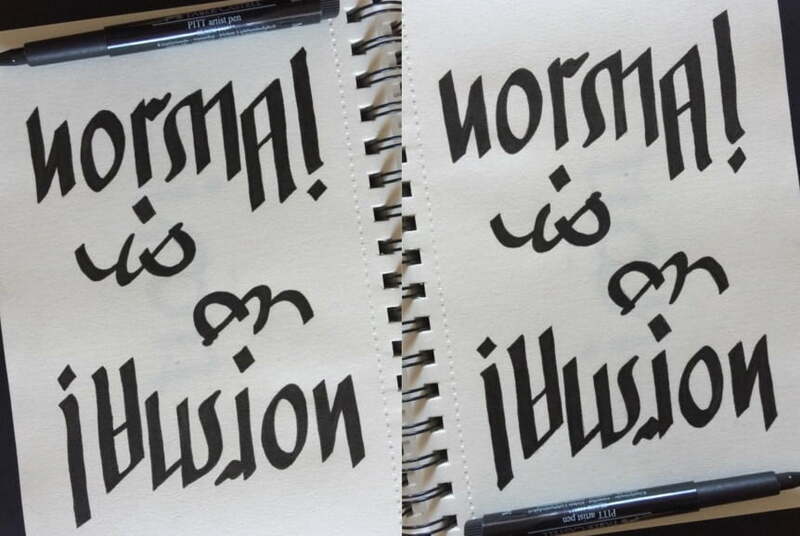 This is the first “serious” ambigram I designed (and the least readable of all! XD). It should read Carpe Diem-Carpe Noctem, meaning Seize the Day-Seize the night. Or else, make the most out of your time. A huge inspiration for me, art-wise, is my favorite movies. So, here we go again. The following was very challenging. But I am stubborn as hell (no pun intended!). Finally a couple of random ones. The first is quite simple. The second is a famous phrase by -someone I don’t remember and I am too lazy to google right now- which I feel is really relevant to ambigrams.